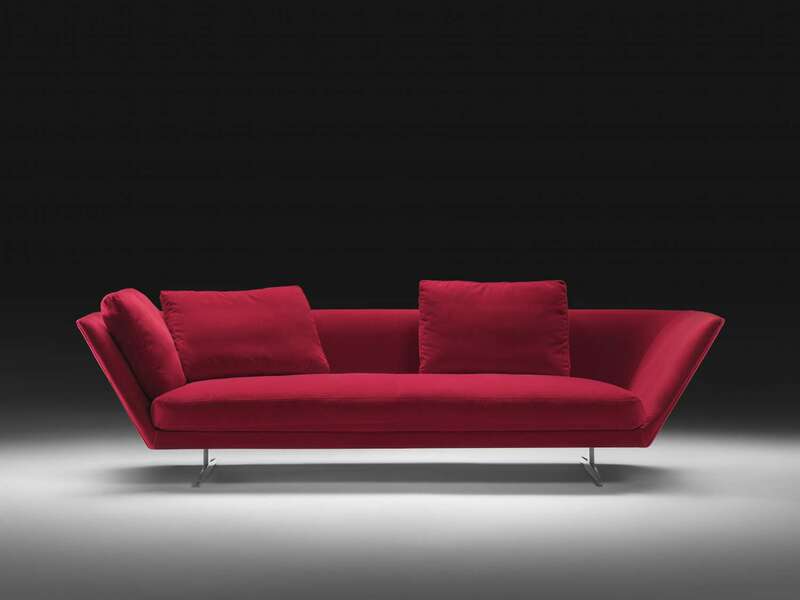 A sofa-object of great character, with a rigid upholstered chassis whose ends spread outward from the base. 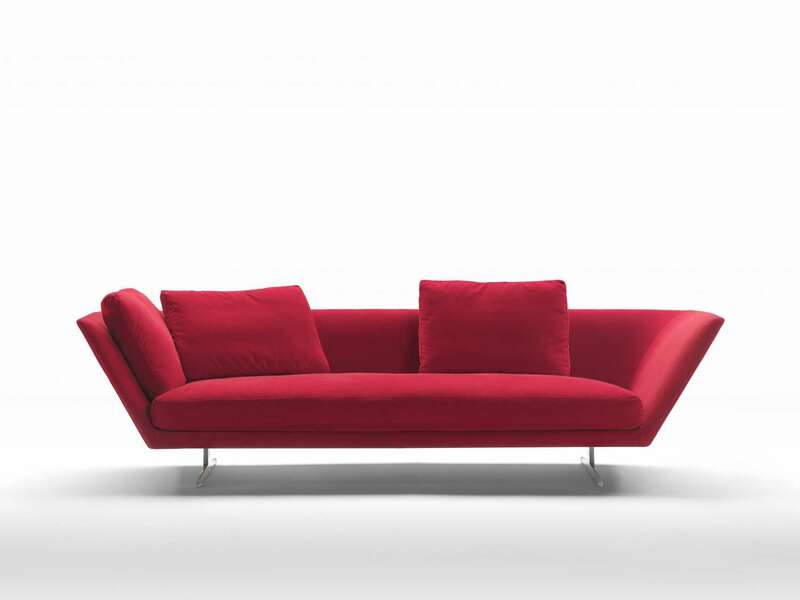 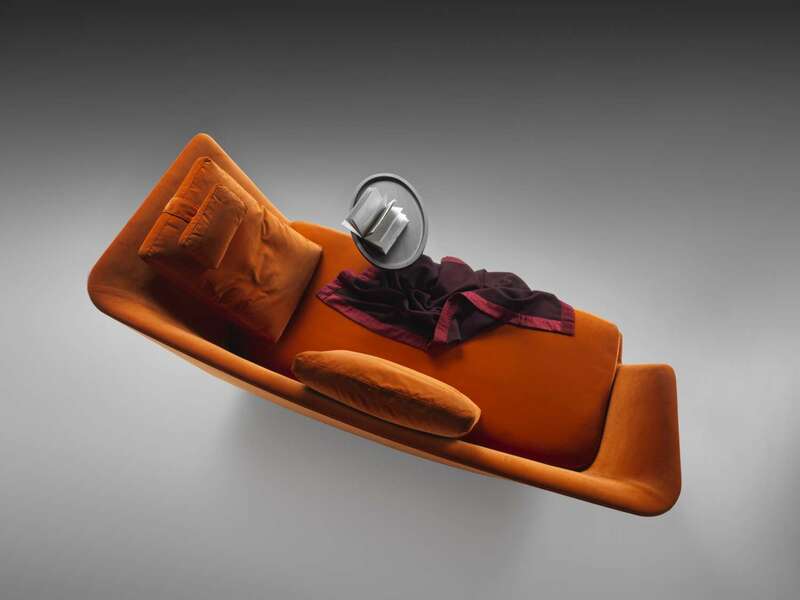 The high back wraps you like a protective shell, becoming asymmetrical in the chaise longue version. 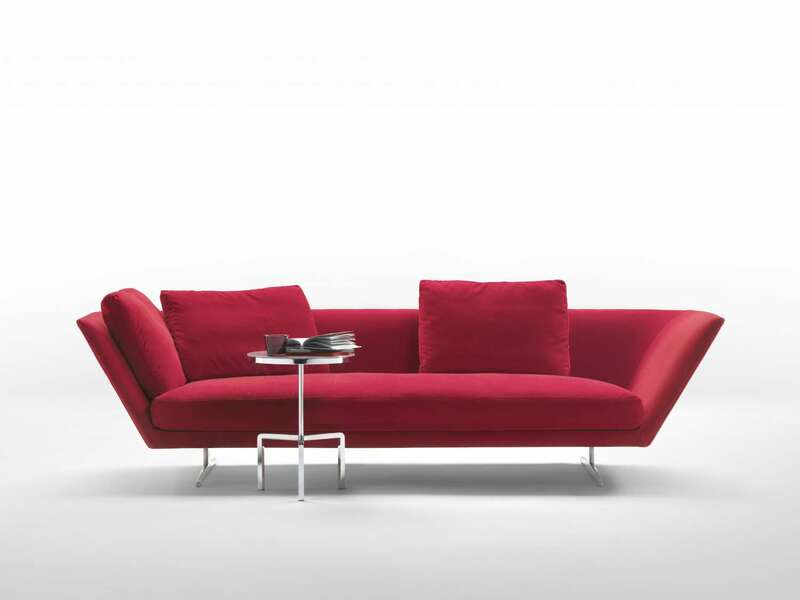 A single seat cushion filled with down and two small back cushions complete the sofa. 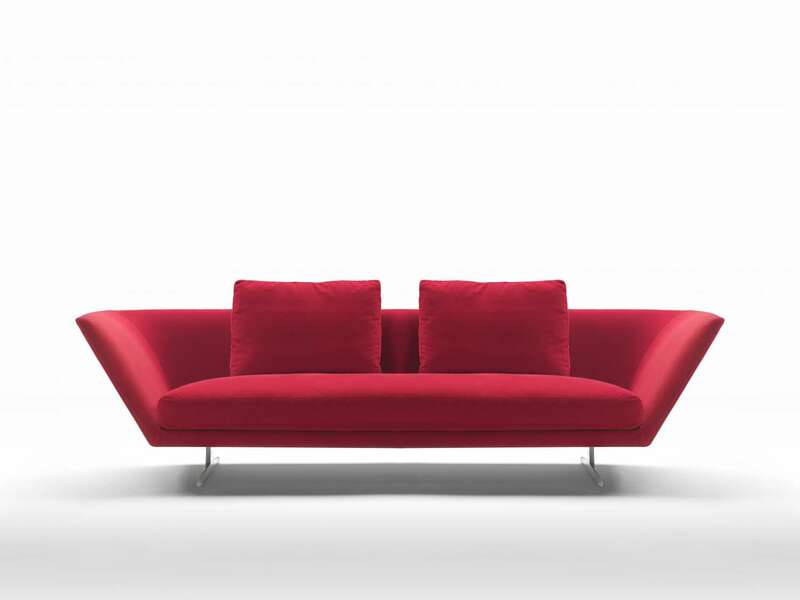 ZEUS is ideal for public spaces, VIP lounges, hotel lobbies. 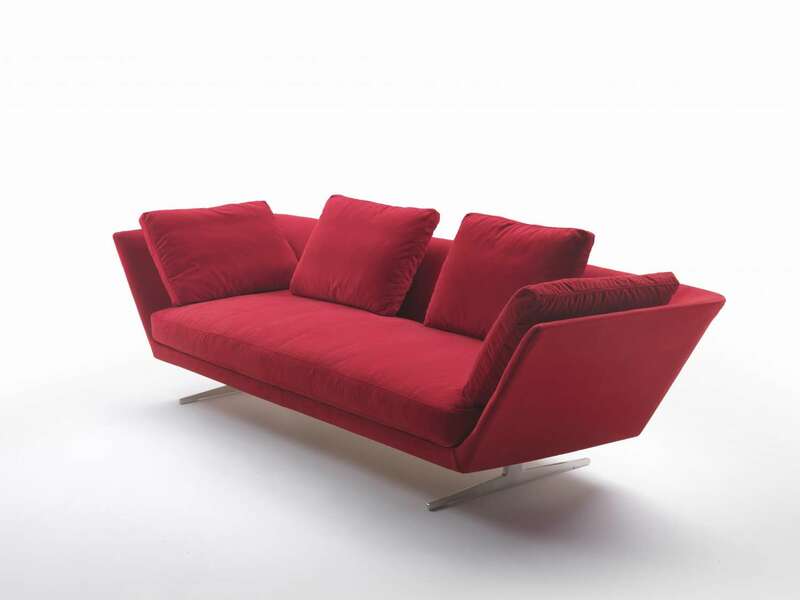 In the home it is a forceful, intense, original presence, easily combined with more linear compositions.